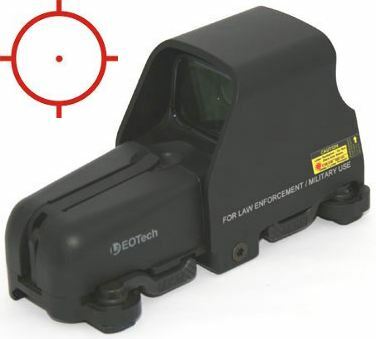 The Eotech 553.A65BLK Holographic Weapon Sight (HWS) was developed after extensive testing of various red dot sights by United States Special Operations Command. USSOCOM standardized the Eotech 553.A65 (the BLK refers to the black exterior finish) as its 1X close combat optic as the SU-231/PEQ (Model 553). This red dot sight incorporates many additional features demanded by the SOPMOD Block 2 program. 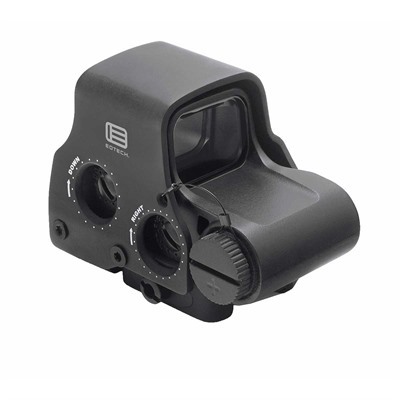 The Eotech 553.A65 red dot sight features a deal ARMS throw lever mount with 7mm raised base to ensure compatibility with night vision equipment and co-witnessing of iron sights. USSOCOM specified a 100% greater, 66ft submersion rating for underwater operations. A 65MoA ring/1MoA dot reticle is employed for fast centring on targets in dynamic situations. The 1 MoA dot enables great accuracy out to the distance at which targets can be identified. To extend this range by several hundred metres an Eotech G23.FTS 3x magnifier can be mounted behind the HWS. 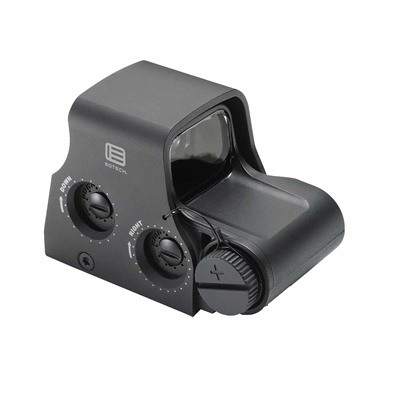 This works with Aimpoint or Eotech sights and flips to the side to enable use of the HWS at close quarters. 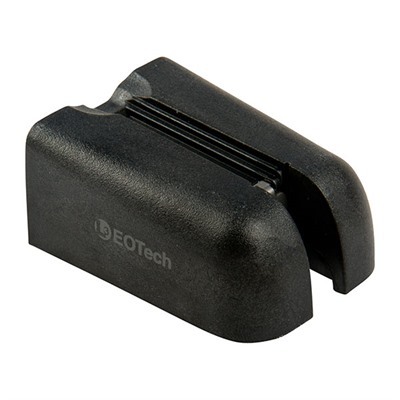 The Eotech 553 HWS employs the latest solid-state electronic technology. No less than 20 day/twilight brightness levels enable the Eotech 553.A65BLK to adapt to any lighting conditions. The battery check indicator, up/down brightness scrolling and (programmable) auto shutdown are controlled by an on-board microprocessor. The electronics are protected by encapsulation in a shock absorbing resin compound. The 553 Eotech HWS utilizes a fighter jet style ‘Heads-Up Display’ (HUD) that eliminates the obstructions and restricted angle of vision associated with other types of unitary power sight. Eotech vs Aimpoint this is a key advantage. The controls do not protrude from the Eotech 553.A65BLK’s streamlined housing and nothing obstructs the view of the target area. 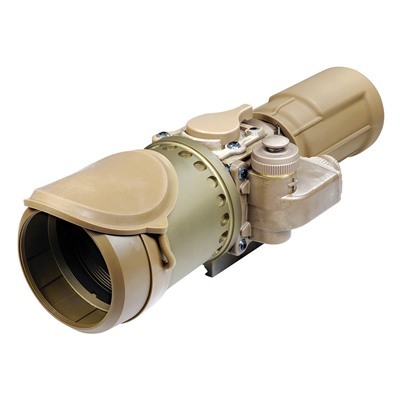 You keep both eyes open whilst shooting, ensuring full situation awareness and rapid engagement of emerging threats. The Eotech 553.A65BLK has been tested by both the manufacturer and USSOCOM in the most extreme conditions and will perform consistently and reliably in any operational environment. It is proof against water, fog, shock and extremes of temperature. The 553 HWS has been subjected to military drop tests and consistently remained operational and held its zero. Other tests utilized a recoil simulator to subject the sight to 3,500 Gs of acceleration in under 0.5 milliseconds (this approximates to mounting on a .454 Casull handgun) as well as chambers simulating extreme environmental conditions. The Eotech 553.A65BLK does not project any radiation or give off any visible signature. Even Gen III night vision cannot detect any signature from this sight. The HWS is fully compatible with all generations of Night Vision equipment and features no less than 10 night reticle brightness settings to cater for different NV equipment and conditions. A typical installation would involve a removable or swing out image intensifier behind the HWS but the Eotech 553.A65BLK can also be placed behind NV devices and is highly suitable for use with head mounted NV, even with partial cheek-weld, offering the operator great flexibility in employment. NV use brings out the enormous advantage of the HWS concept, providing four times more field of view with the Eotech vs Aimpoint Comp M2 and ten, as opposed to four NV compatible brightness settings. Check the price of an Eotech 553 at Brownells, a name you can trust. Full disclosure: If you purchase from Brownells I will be paid an affiliate commission. This will help keep this site going and will not affect your purchase price.